Council is committed to improving the experience of residents and visitors to Bondi Beach. 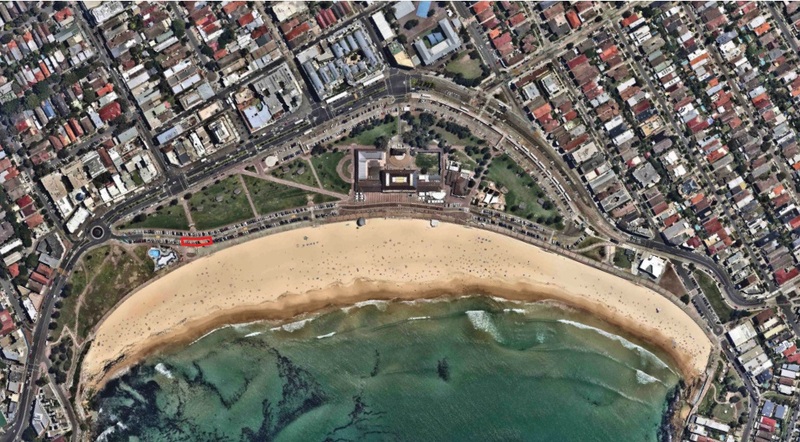 Through the Bondi Beach, Park and Pavilion Plan of Management (Bondi POM), the community told us there needs to be more toilets and showers in Bondi Park. Feedback received by the community on the Bondi Pavilion Restoration and Conservation project highlighted the need for more toilets and showers, particularly for the peak periods when up to 50,000 people are on Bondi beach. As we are nearing construction for the much-anticipated Bondi Pavilion Restoration and Conservation Project, a new amenities block has been prioritised to ensure visitors and residents will be catered for during the Pavilion construction period and into the future. With this in mind, Council commissioned a feasibility study in 2018 to find the best locations for an additional amenities block. Arup, engaged by Council, provided three possible locations for additional amenities: South Bondi Park, below the skate park, a central location, in close proximity to the Pavilion and in Biddigal Reserve at the Northern end of the beach. Council has since made the decision to build a new amenities block into the promenade, below Queen Elizabeth Drive, at the southern end of the beach. The central location will be explored once the Pavilion Restoration project is completed. Council engaged Chrofi Architects to develop high level concept designs for additional amenities, built into the promenade wall (underneath Queen Elizabeth Drive) near the skate park at South Bondi. The exact location can be seen in the aerial map below. Given the location of the proposed amenities, there are restrictions on the footprint of the building. Feasibility studies found that this part of the promenade is the only location capable of achieving the minimum head clearance requirements for an amenities block. There are also further site restrictions such as stormwater and telecommunications assets. 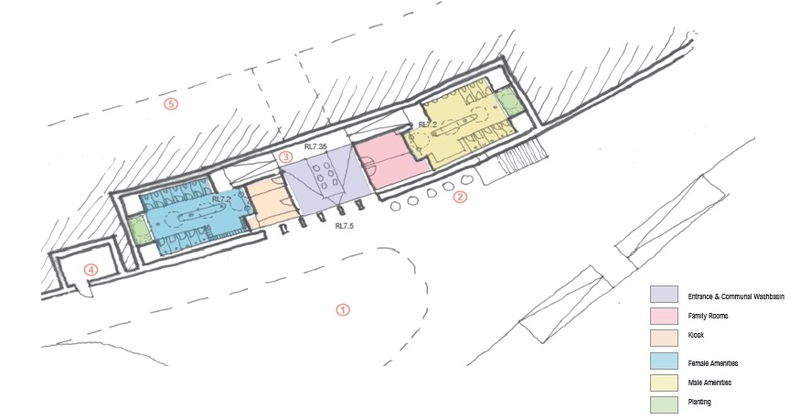 Chrofi Architects have presented an option which maximises the space provided. The concept design includes a kiosk in the new amenities building. The concept design has been included because the Bondi POM identifies the need for more kiosks at Bondi Beach. There will be a tender process to fill the kiosk space once it is completed. Council aims to start construction on the additional amenities in Summer 2019. Note: There will be inconvenience during the construction period, as fencing will take up some of the promenade, as well as a number of car spaces on Queen Elizabeth Drive. We appreciate your patience as we work to improve your Bondi Beach experience.